Former Republican Gov. 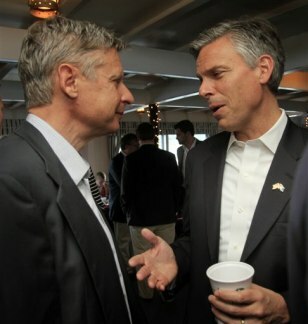 Jon Huntsman, Jr., of Utah, right, talks presidential hopeful former Gov. Gary Johnson of New Mexico on Friday.